There is something unique and personal in a car to car motion shot that tends to give the viewer a raw look into the subject. 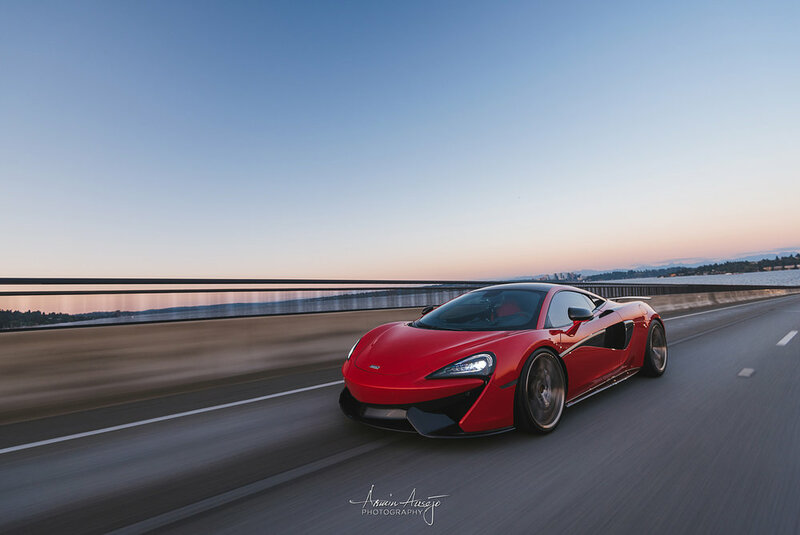 Rolling shots, aka car-to-car motion photos, are the go-to shot for beginning photographers and seemingly a thing of the past for professionals. Rolling shots are often a last resort in capturing cars in action, when in reality it could be the best option available. Some photographers are scared to share their settings - Why? I honestly can’t tell you. 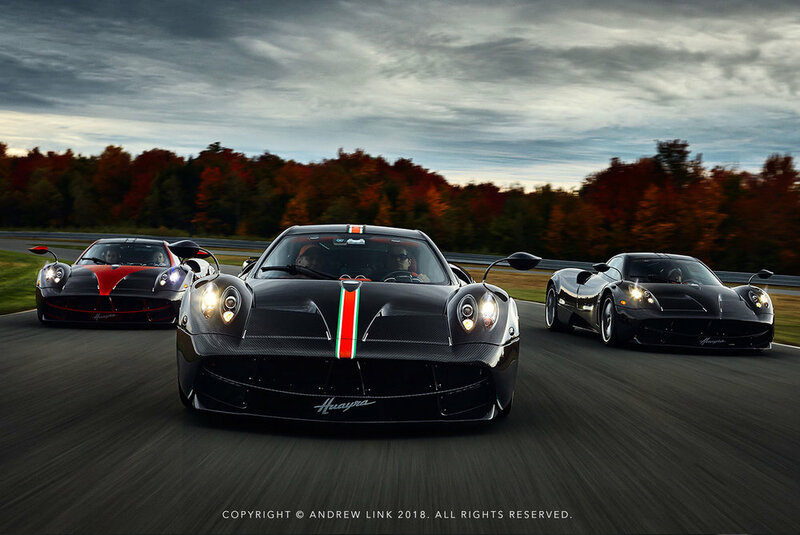 This article is purely a base to get you started by sharing work from some of the industry’s best photographers, with their settings. Knowledge is power! The trend through the later 2000's and up until a few years ago has been to do rig shots, but why mess with expensive rigging systems and the post processing work? I even got into the rig shots (see portfolio) and have even used programs like Virtual Rig Studio (compositing shots of the car not in motion onto back plates and making it move). Those programs and similar ones like it also have a hefty price tag. 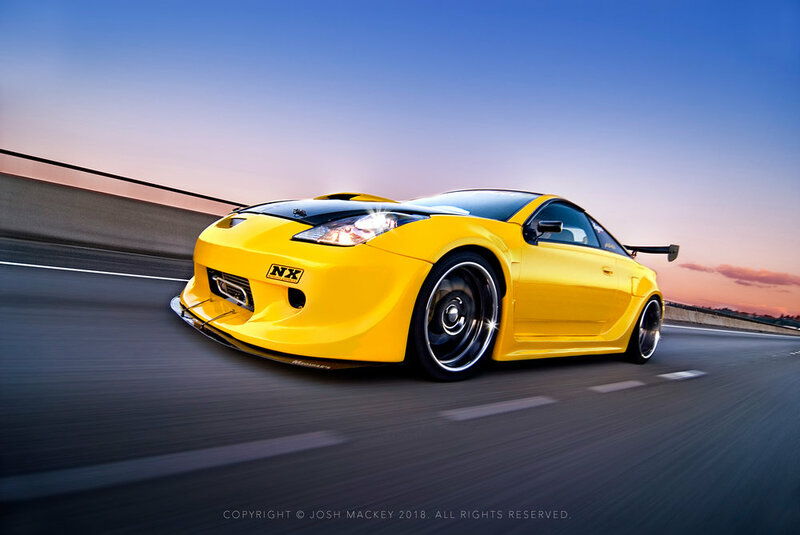 If you sit down and think about it, the only accessory you need for a really good rolling shot is a driver and preferably a car that is on stock suspension to ride in. 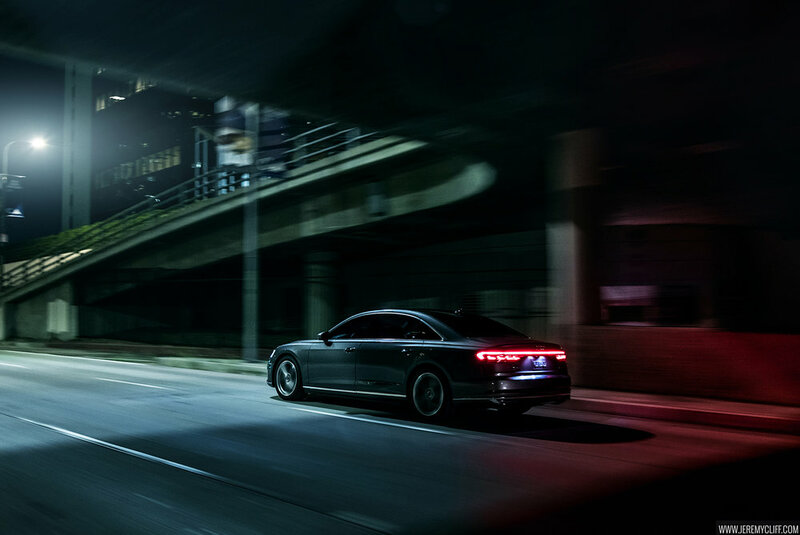 Lastly, never forget your client might be looking for a specific shot, not all rolling shots will be extremely slow - subtle wheel details for example are very important to manufacturers. A true motion shot should convey…. motion! So, if you’re going 30mph on a back road, chances are you’re not going to get the speed in the shot you would prefer. Obey the laws of the road of course, but anything over 50-60mph is ideal. Between 70-80mph is the sweet spot, best on a highway or road that allows those speeds. Slow down your shutter speed, that is. Sometimes getting the PERFECT rolling shot requires some sacrifice in settings. For years I’ve used Shutter Priority Mode and let the camera determine the aperture. If you think you can manage flipping the aperture whilst hanging out of a moving vehicle, more power to you. I prefer to use anything between 1/20-1/40. If you’re brave and think you have a steady hand, I’ve shot as low as 1/10 in focus. For those manual diehard types, just test your settings before actually starting so that way you’re not wasting time while driving. The only other setting might be ISO, but that’s really pending where you’re driving, such as in a tunnel. Use whatever settings you're comfortable with to start and build upon testing and checking until you've dialed in what works best for you. Bringing anything over 24mm (especially on a cropped body) is asking for problems. Roads aren’t kind to even the steadiest of hands. The longer the focal length, the more vibration shows in the camera. Yes, you can buy mount devices to help you with this, but seriously, it’s not the point of this article to buy more crap you don’t really need. I prefer my Canon 17-40L F/4 lens for these types of photos. 17mm is super wide which can get me right up on the car or enough distance for a good crop from a lane away. I also find it a good thing to bring a polarizer filter: cutting down as many reflections as you can is a good thing. If you’re already hanging out of a car going 80mph on the highway, chances are that if you’re going to drop your camera, it doesn’t matter if you’re looking through the viewfinder or not. I usually get enough photos looking through the viewfinder but then I drop the camera as low as I can outside the shooting car and just aim. Aim with instinct, with knowledge and experience. LOOK at what you’re aiming at and try and nail the spot that gives the best focus, the front wheel. A lot of people over the years have asked me if I did a rig shot on the highway because the angle is so low. No, it’s just a well-placed shot from me hanging half way out of a moving car. 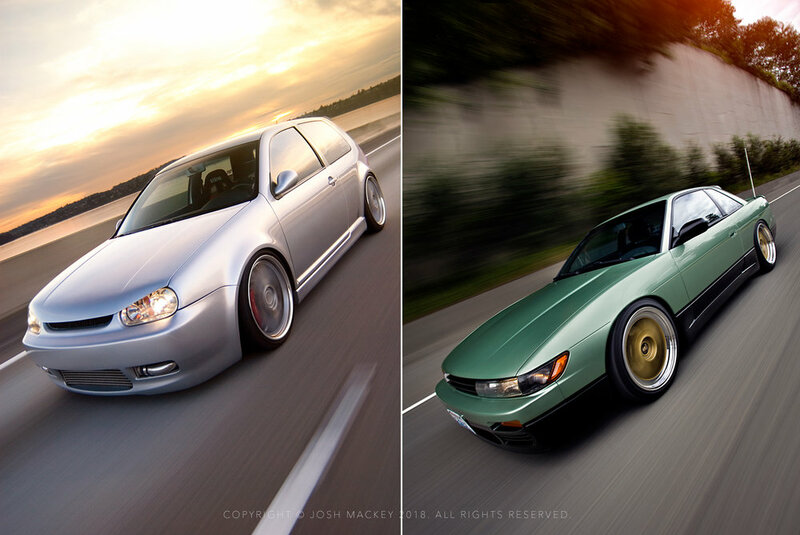 Make sure you have ample memory for the remainder of the shoot, but make sure you shoot a lot of rolling shots. Shoot a couple, do a quick check, keep shooting. 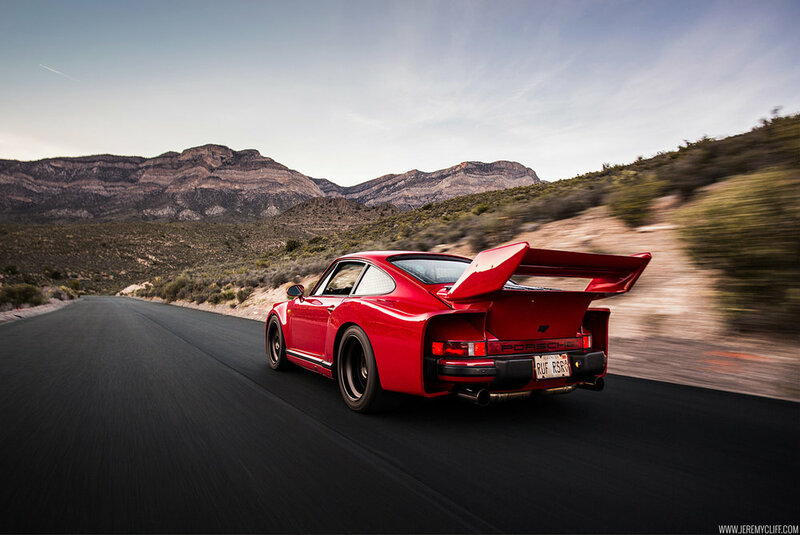 Chances are getting a perfectly sharp rolling shot at 1/20 going 70mph on an average highway is going to take at least 20-30 shots. When you think you’ve got enough, take some more. Loop back again if you think you need to, until you’re confident knowing you have enough shots to get what you want. It’s best to have a lot to choose from versus none. I can tell. We can tell. 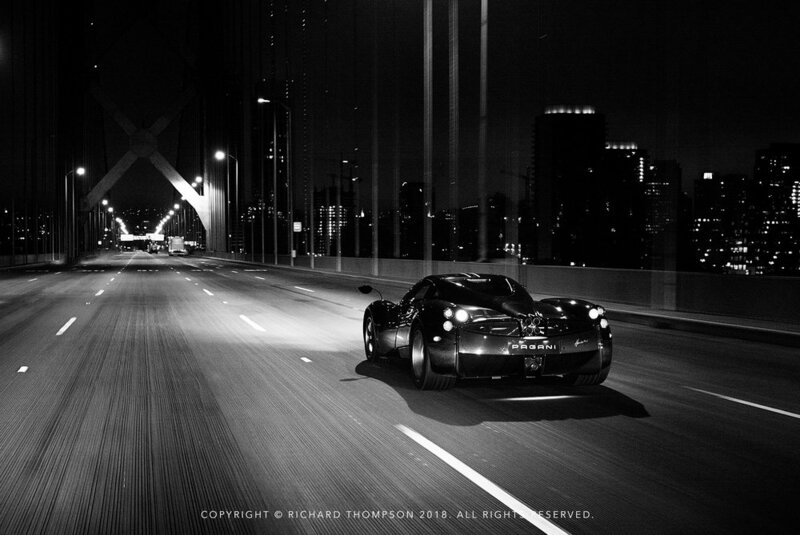 When someone enhances their photo with additional motion in a rolling shot, it’s pretty obvious, and it’s pretty bad. Take my advice on the subject and do it over again if you didn’t get it right. Don’t be so butthurt when you’re called out and offered some really good criticism. None of the photographers I am friends with and have been pioneering the industry do this; you shouldn’t be an exception to that rule. You should always present your photos how you want people to see them. A lot of people prefer to see the SOC shot, however in my experience, cleaning up a good rolling shot is always a good thing. Cloning out a random car, fixing some reflections or making the shooting car disappear are things that shouldn’t be ignored outside the standard adjustments. Some photographers have an innate ability to capture a good rolling shot, others aren’t so lucky. The only way to get better is to practice and keep testing your settings to get the exact look you want. 30 minutes and a driver is all you need, get out there and do it. If you live in a big metropolitan city, you’re more than likely going to have to plan your shots around heavy traffic. You know your city better than anyone: coordinate times and plan. It’s fun hanging out of a car on a 30 degree day getting pelted by hail. You should try it, I promise you’ll love it. Originally posted on MotiveLife.com - Updated for this featured post.